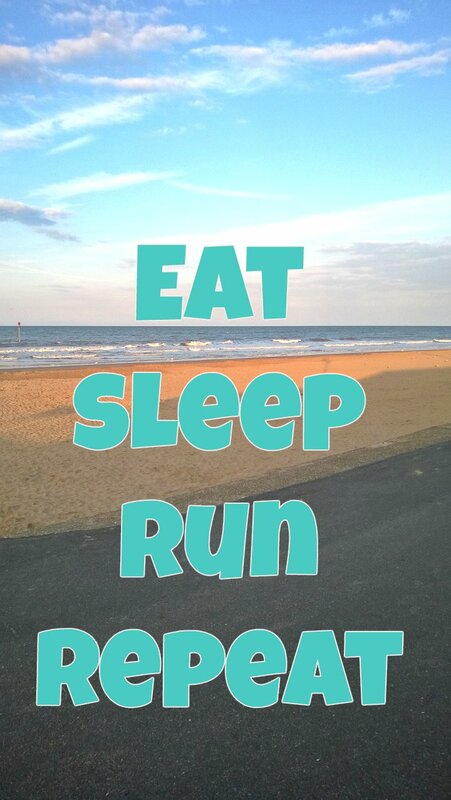 This week it has been all about taking my time with running, not getting stressed about finding time to get out. Also leaving my watch behind and not bothering about time and distance. Running when I have a spare minute to myself and the children are busy, puppy fed and walked. Not easy then!?! With the children on school holidays and my husband off work, finding me time has been difficult. Days out here, a few nights away there. Chip and cake shops on days out. Chinese take outs, ice cream and fried breakfasts on a few days away. Pizza when home after a long drive home and tired! I will be glad to have a break over the next few days. Exercises a plenty to burn off the calories. Healthier eating a must!! 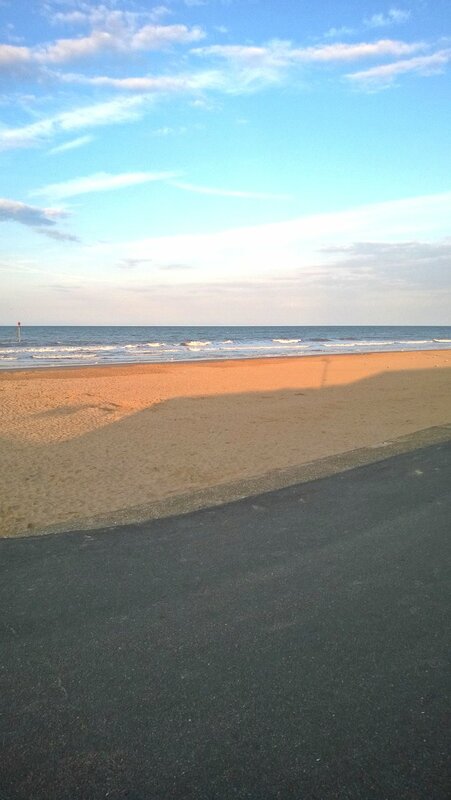 I did get a lovely run on the beach at Mablethorpe. Just me and the sunshine and the sand. Perfect first thing in the morning. I took this picture the night before as I was planning a route and did not want to take my phone with me! I hate to carry things on my run! Do you find it easy to have me time over the summer holidays and fit exercise in? Do you get up early and run before everyone get up or do you like to rest like me and catch up with all the sleep you can get? Getting up with puppy in the middle of the night makes me so tired all day! What is you favourite way to keep fit and healthy when the children are off school? "I Scream For Ice Cream…"
"The Day We Went To Visit A Tree…"
I am headed out for a walk with my dog now! Just catching up with my blogs! I find it easier when the kids are home for the summer to get up earlier and head out due to their school schedules. During the school year, my me time is my lunch hour and after dinner walk. Have a great day!